Fancy putting down a wager on the Kentucky Derby, airing live on NBC Saturday, but don't want to look like a novice when you place your bet? 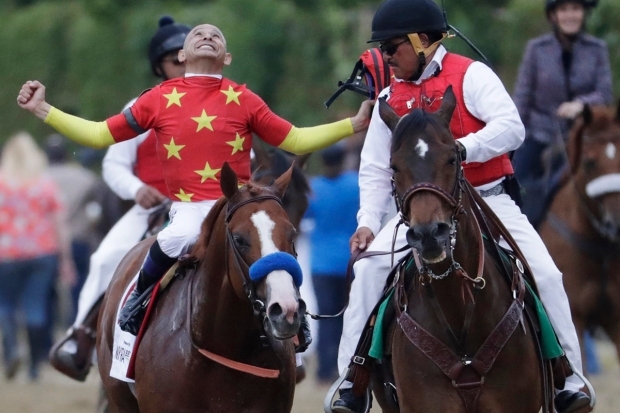 For all you inexperienced bettors out there, here's a quick guide to betting on the Kentucky Derby that'll have you sounding like a serious handicapper by the time Justify, Vino Rosso and Audible approach the starting gate. Odds-on many racing newcomers may not know what the odds actually mean. Whenever there are two numbers (e.g., 16:1 for Vino Rosso at time of writing according to VegasInsider.com) displayed on a tote board at a racetrack or on a list of wager options, the first number (16) denotes the minimum amount of profit the wager will pay. The second number (1) is the amount you need to wager to win the first amount. Once the final finishing places of a race are official, the track will post the prices of the winning wagers. In the above example, the horse will pay $16. The track will then add the $16 profit and the $1 wager together to derive the payout: $16 + $1 = $17. Lone Sailor at 50:1 would therefore pay $51 on a $1 bet. Win Your horse must finish first to collect. Place Your horse must finish first or second to collect. Show Your horse must finish first, second or third to collect. Exacta You play two horses, and they must come in first and second in the exact order specified in order to collect. Exacta Box You play two horses, as above, but here they must come in first and second in either order to collect. Trifecta You play three horses, and to win, they must come in first, second and third in exact order to collect. Trifecta Box You play three horses, and they must finish first, second and third in any order to collect. Superfecta You play four horses, and they must come in first, second, third and fourth in exact order. Superfecta Box You play four horses, and to win they must finish first, second, third and fourth in any order. Distance: The Kentucky Derby is run over a distance of a mile and a quarter. Few three-year-olds will have had prior experience in such a long race. Some horses are ‘bred to distance’ and are usually a better candidate than one without a lineage of success at long races that put a premium on endurance. Schedule: One of the most significant reasons that winning the Triple Crown is such a rare event is the grueling schedule of the three races. While the ideal layoff between races varies from horse to horse, most high level equine competitors race fewer than 10 times per year. In most cases, thoroughbreds seldom race without a break of three weeks to a month. 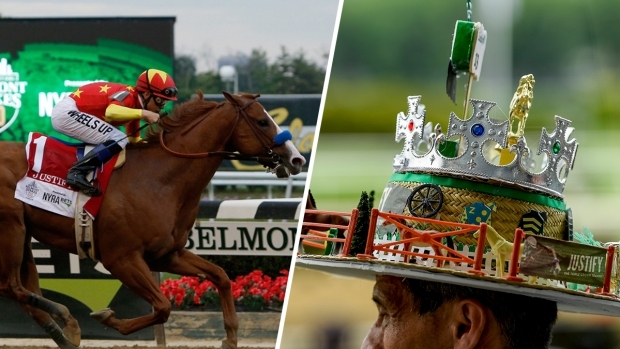 For a Triple Crown aspirant, however, it’s necessary to win three very competitive races in a five-week span. In recent years there has been a trend away from horses running in all three legs unless they’re in contention for the Triple Crown. For this reason, it’s worth giving special consideration to 'rested' horses. Weather/Track Condition: If there is a chance for bad weather and/or an off track it’s essential to consider that when handicapping the race. One good measure of a horse’s ability in this type of race can be found with a quick look at past performances. If a young horse has any experience on a muddy or sloppy track that’s a good indication that his connections have confidence in his abilities in these circumstances. 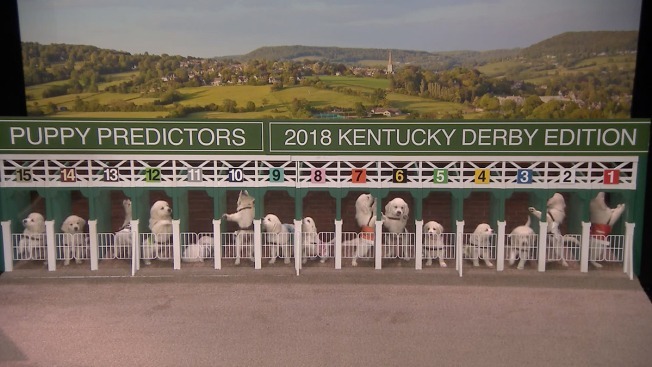 Coverage of the 2018 Kentucky Derby will air live Saturday, May 5 starting at 2:30 p.m. ET on NBC.